Introduction set is perfect for those who want to try out acrylics but using artist quality materials. Acrylics can be used on all sorts of surfaces including wood and metal. Contents: Titanium White, Lemon Yellow, Cadmium Yellow, Cadmium Red, Napthol Crimson, Ultramarine, Bright Green, Yellow Ochre, Burnt Umber, Mars Black. 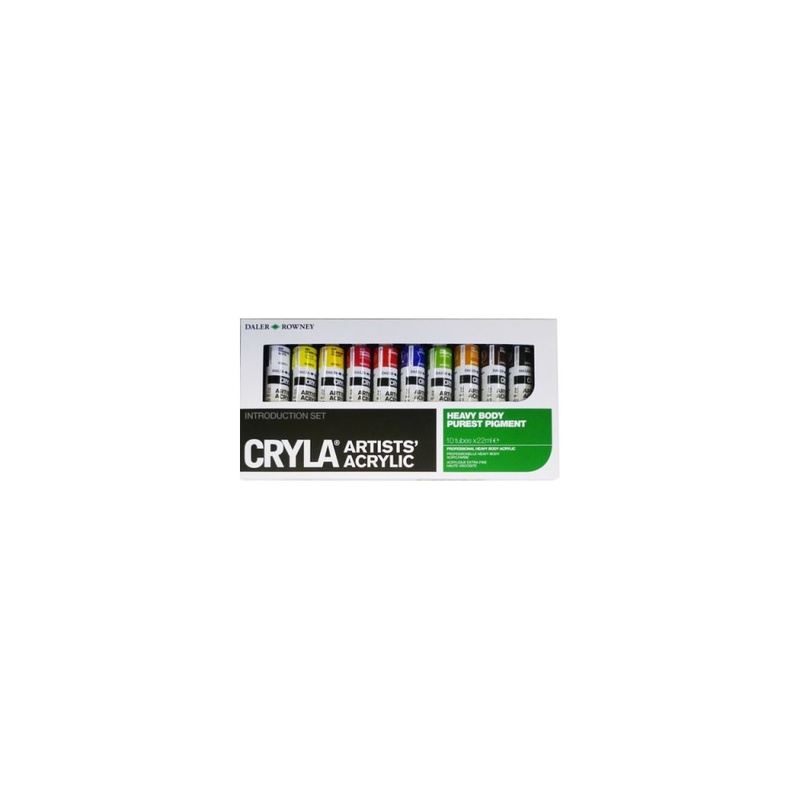 Showing 2 Daler Rowney Cryla Artist Acrylic Introduction Set* reviews. Average rating of Excellent. Would you like to write a review? Highly pigmented heavy body acrylic. Cryla is one of the best artists quality acrylics. Smooth application. Rich colour. I heard these cryla acrylics are up there with the best, so I've bought a few sets. I tend to use these as part of my travel set so I have just enough for a days painting.